What conceptual tools are best suited for approaching delta life? How can anthropological theory help understand the specific predicaments and everyday life of people in major river deltas? 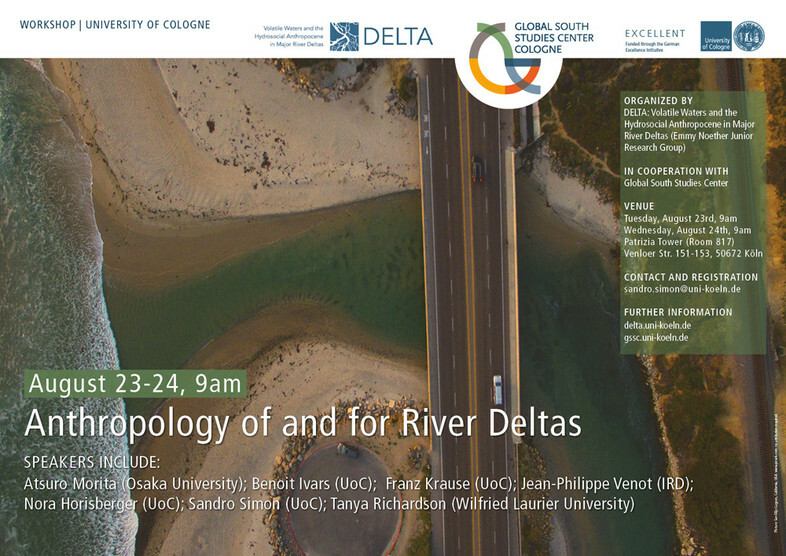 This workshop will explore what an anthropology geared at coming to terms with the particular social, hydrological, economic and cultural relations that make up delta life in different parts of the world would look like. It will thereby aim at formulating an anthropology of river deltas – i.e. 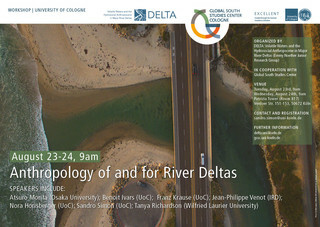 a set of concepts and frameworks for the study of delta life – as well as an anthropology for river deltas – i.e. an approach that is useful for eliciting and communicating the concerns, hopes, challenges and opportunities of delta inhabitants. At this workshop, we shall discuss the possible contributions of classic and recent anthropological approaches to the study of delta life. These will include selected aspects of ecological anthropology, multi-species ethnography, the anthropology of infrastructure, Anthropocene discourses, ideas of hydrosociality, and material semiotics, among others. Rather than probing these approaches in the abstract, we will consider their utility and scope in relation to specific ethnographic research projects in river deltas and beyond.